Lights, laughter, parties, gifts and friends…Christmas really is the most wonderful time of the year. Unfortunately, it’s also one of the most stressful times of the year. We’re short on time, we’re short on money, we’re short on…Peace. 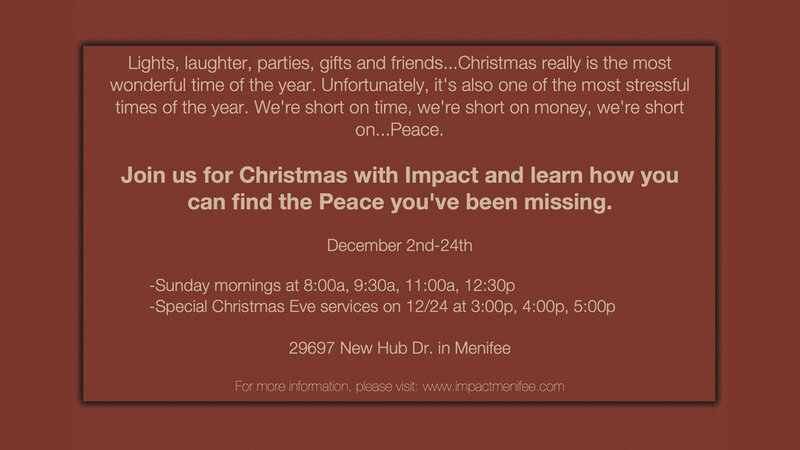 Join us on Sunday mornings in December, and also on Monday, December 24th, for Christmas with Impact and learn how you can find the Peace you’ve been missing.